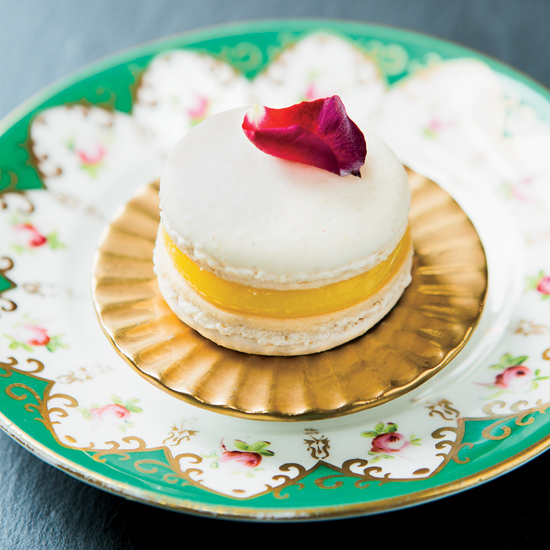 From beautiful macarons to luscious tarts, here are 11 amazing lemon desserts for Easter. Pink peppercorns aren't just pretty, they're great counterpoints to the tangy lemon filling in these cookies. These creamy dessert bars are great for a crowd. Lemons, sugar, heavy cream and a pinch of salt are all you need for this incredible citrusy dessert. These sweet-tart muffins are completely gluten-free. What's the secret to making the best shortbread cookies? Lots of cold butter. This granita gets an unexpected boost from the bold flavor of rosemary and a splash of Grand Marnier. This elegant dessert is nearly foolproof. Honey gives these moist cupcakes the perfect amount of sweetness. This is the ultimate lemon layer cake. Star blogger Sarah Bolla makes an agave nectar-sweetened lemon cream with silken tofu for these terrific, dairy-free tarts. This ingenious make-ahead dessert has an entire Meyer lemon puréed into the filling.